If you are involved in a car accident, do you know what you should or should not do? Many people think they know how they would handle it. However, in the stress and confusion of the moment, they may be at a loss. Please download our brochure for free, to keep in your glovebox. It could help you secure the compensation you need to recover from your injuries. 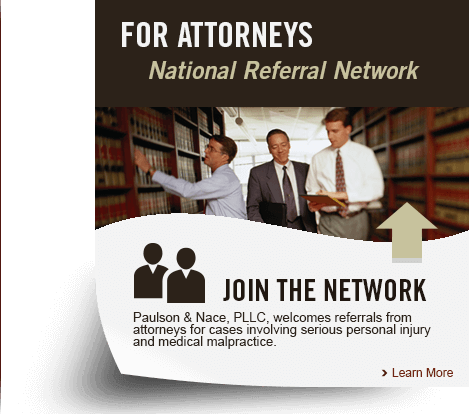 For help with your claim, contact the attorneys of Paulson & Nace, PLLC.